The Kris Lees-trained Red Cardinal (c) will run in the G1 Tancred Stakes for Australian Bloodstock. While the remainder of In Her Time’s autumn campaign is in doubt, her trainer Kris Lees is buoyant about the Group One prospects of stayer Red Cardinal. The former European has won his two starts for Lees after being transferred to Sydney in the wash-up from Victorian trainer Darren Weir’s disqualification. 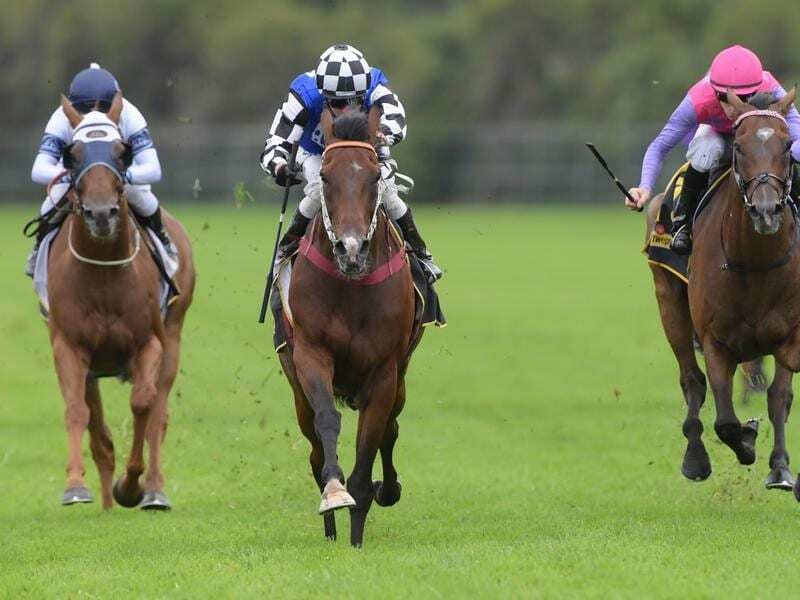 Lees is aiming the Australian Bloodstock-owned seven-year-old at the Sydney Cup (3200m) via Saturday’s Tancred Stakes at Rosehill with his two recent wins on rain-affected tracks encouraging, given he is likely to get those conditions. Lees has also nominated Big Duke and Doukhan for the Tancred (2400m) after they finished second and fifth respectively in Saturday’s Manion Cup. “We’ll monitor the track conditions for both,” Lees said. In Her Time, winner of last month’s Lightning Stakes at Flemington, has a hoof issue which is being treated. “She has been nominated for the Group One Chairman’s Sprint Prize at Sha Tin at the end of April, and the Brisbane winter carnival is also approaching,” Lees said. Lees is considering running FrankelyAwesome in the Australian Derby a week later while El Dorado Dreaming’s next step will be determined by how she performs in the Vinery. Lees will miss Saturday’s meeting with the trainer travelling to Dubai to oversee Brave Smash in the Al Quoz Sprint at the World Cup meeting this weekend.